1. Jesus focused on a few. His vision was huge (Matt. 13:31-32). His vision was a church that would eventually number in the hundreds of millions! His vision was the taking of the gospel of the Kingdom of God to all nations! Yet He focused on a few men – 12 to be exact. Twelve men to change the world. Twelve men to whom He would commit the monumental task of building His church. And one of them failed, leaving Him only 11 in the end! With these few men He spent His time; into these few men He poured His life; to these few men He committed His entire future agenda for the world. From this we can learn that when it comes to building leaders it is better to do a lot with a few than to do a little with many. It is better to be deeply committed to building a few great leaders than to be under-committed to building many mediocre ones. This is such a hard lesson for us to learn. Overwhelmed by the admittedly huge task before us we repeatedly attempt to set up spiritual “production lines” to turn out leaders by the thousand. Too often, unfortunately, the leaders we turn out are under-built, still entangled in the unresolved struggles of their pasts, not sufficiently grounded in either the Word or the Spirit of God, not sure of who they are or what they’re to do, and not really competent to do it anyway. Years ago a young man said to me, “I’ve spent the last 7 years of my life and a huge sum of money in gaining an advanced religious education. Now I’ve finally graduated with a higher degree. In the eyes of the religious world I’m equipped, I’m qualified, I’m ready to go. But, in reality, I don’t know where to go, what to do when I get there or how to do it!” This young man had graduated from quite a good spiritual production line but he had a long way to go in being built as a leader. 2. Jesus chose His few in prayer. If you were God and if you were going to commit your entire future world-wide agenda to only a few men, they had better be the right ones! Jesus chose the men His Father led Him to. He chose the men He saw in prayer. Today, however, instead of praying about men, we spend our time thinking about models and strategies. Our focus is more on methods; Jesus’ focus was on men. Our time is spent with each other in planning and strategizing; Jesus’ time was spent with His Father in communion and fellowship. His inward union with His Father was the primary source of His success in leadership building. It is no different for us. If we are to excel in building leaders our ministries must be born out of inward, living union with Him. Jesus chose His leaders in prayer, and prayer was His first priority as He continued to build them. To succeed, we must do the same. 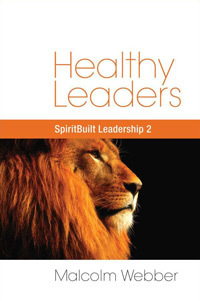 In the next few Letters, we will continue to examine how Jesus built leaders.